Good morning! 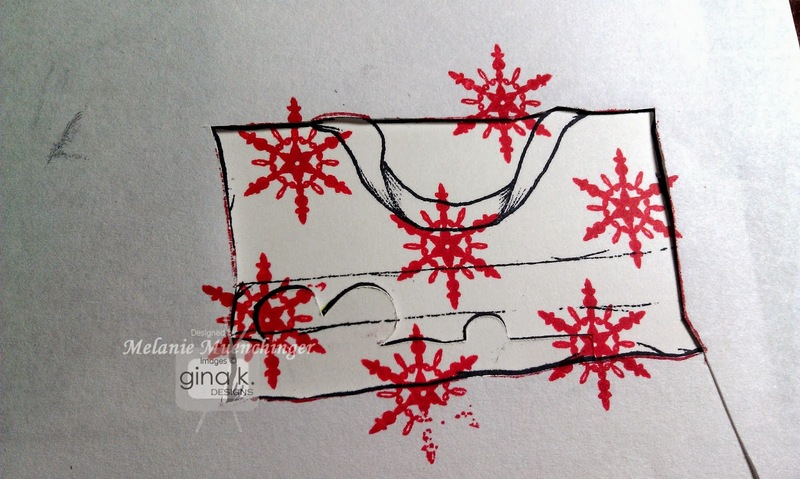 The Design Team for Gina K. Designs welcomes you to another fabulous Inspiration Blog Hop! 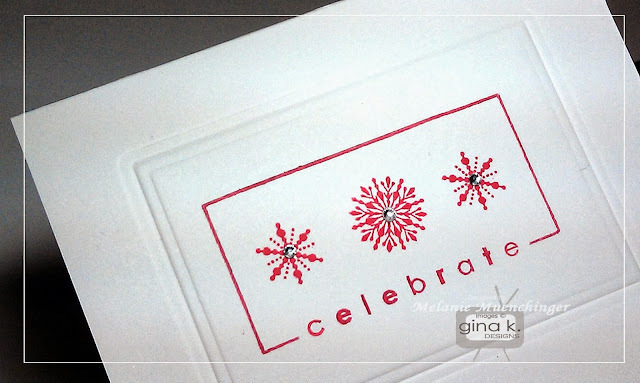 Gina and the Design Team hope to inspire you with many beautiful ideas for our newest holiday offerings from Gina K Designs. 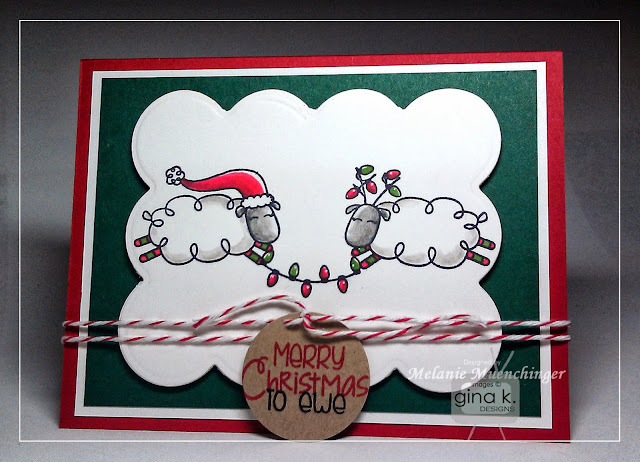 First up, love this punny Christmas set Fleece Navibaa by Debbie Corbari ! Love these decked out holiday ewes, stamped in Black Onyx on Pure Luxury White. 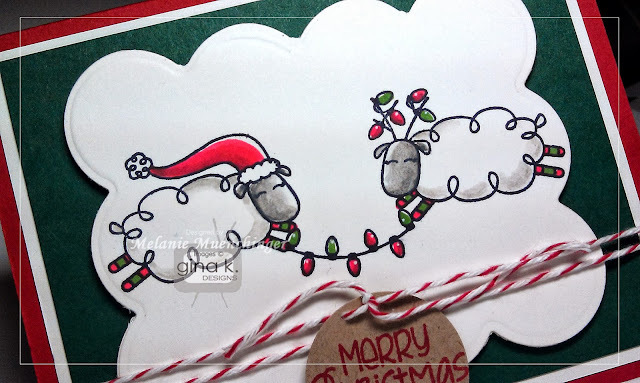 Lots of fun elements in this set like snow and Christmas trimmings to make the sheep even more festive. I thought the scalloped frame was perfect with their pudgy wooly bodies! Gina K Pure Luxury White, Christmas Pine, Kraft and Cherry Red cardstock, red bakers twine, gray watercolor Pencil and white pen, waterbrush, red and green markers, Scalloped Rectangles die. Next up we have the mini set Cheers, which goes from Christmas straight into the celebratory new year, and beyond! I always love a toasting glasses motif, and this Christmas tree is so stylish! 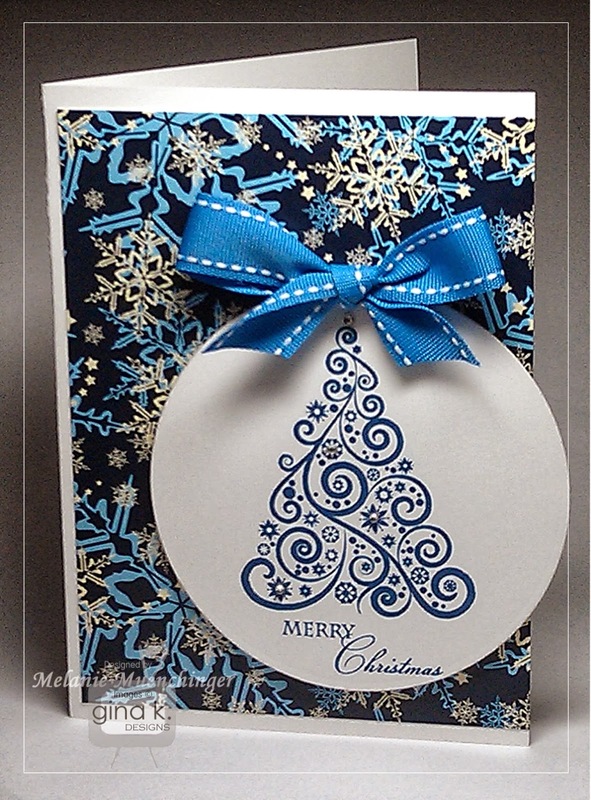 I stamped the tree and sentiment in the new Navy ink on Pure Luxury White and used some of the GKD Season's Greetings patterned paper. (This comes in the new STV kit or you can purchase it separately) Just a few adhesive rhinestones and some Powder Blue ribbon and you're done! Ready for more inspiration? As you hop through our design team blogs, make sure to leave a comment on each of them because we will choose a few random comments and those stampers will each win a grab bag of Gina K. Designs products. Happy hopping! To see the full list of winners, please check the Big News Forum at StampTV a few days after the hops. Good morning! Today kicks off our October release and we are so excited to be sharing with you. 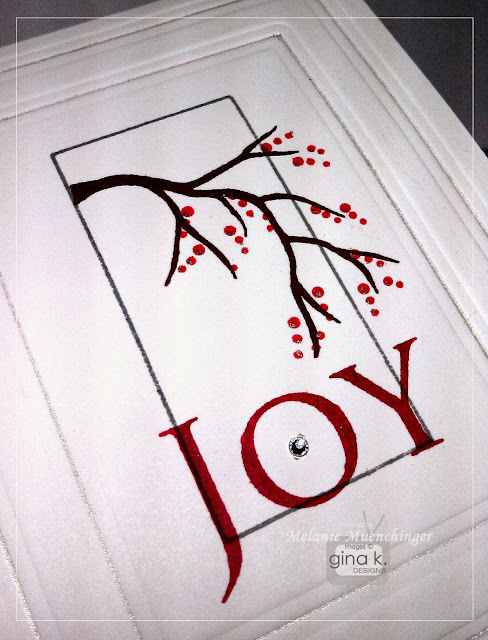 Gina and the Design Team hope to inspire you the next couple days with many beautiful ideas for our newest holiday offerings from Gina K Designs. 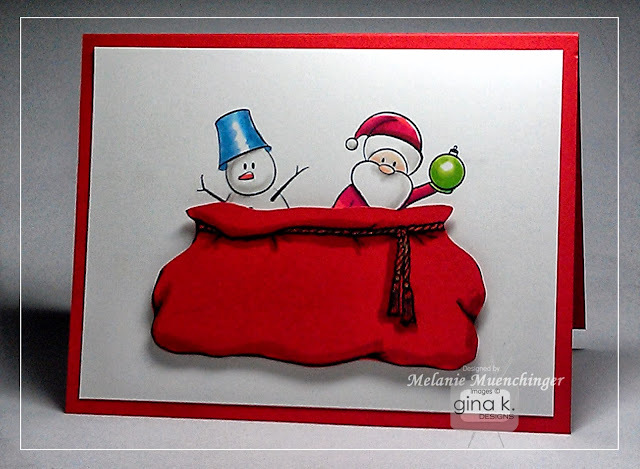 Today we are devoting to Gina's newest fabulous StampTV kit Season's Greetings, as usual packed with stamps, paper and more! 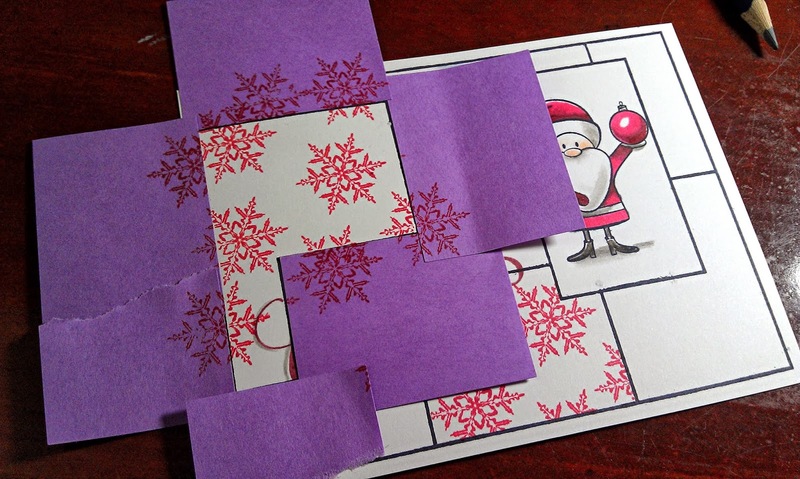 I masked the snowflakes into the different panes in my Inspiration Mosaic using some sticky notes, and the greeting (stamped in the new Cranberry Tart ink pad and outlined with a grey pencil) and Santa were perfectly framed up on these two boxes. 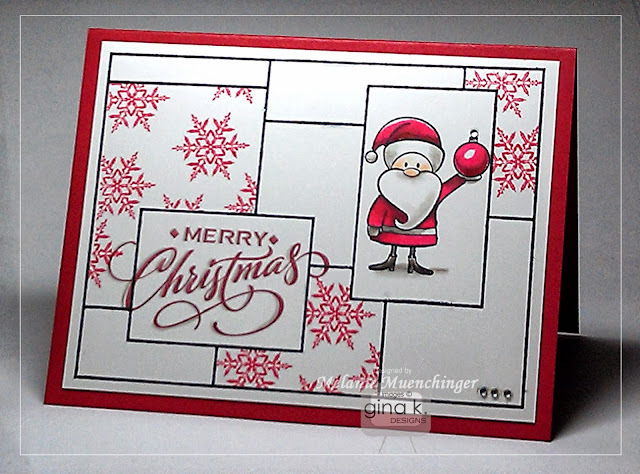 Flakes are stamped in Red Hot and card base is Pure Luxury Cherry Red. TIP: I intentionally chose different shades of red ink and paper here to bring in the different colored shades of markers I used on his suit and ornament. And here is a simple two layer card with the new Gina K Ivory Pigment Ink! I think this is the best, most opaque coverage I have ever gotten from a pigment pad, and I have tried many over the last 10 years! 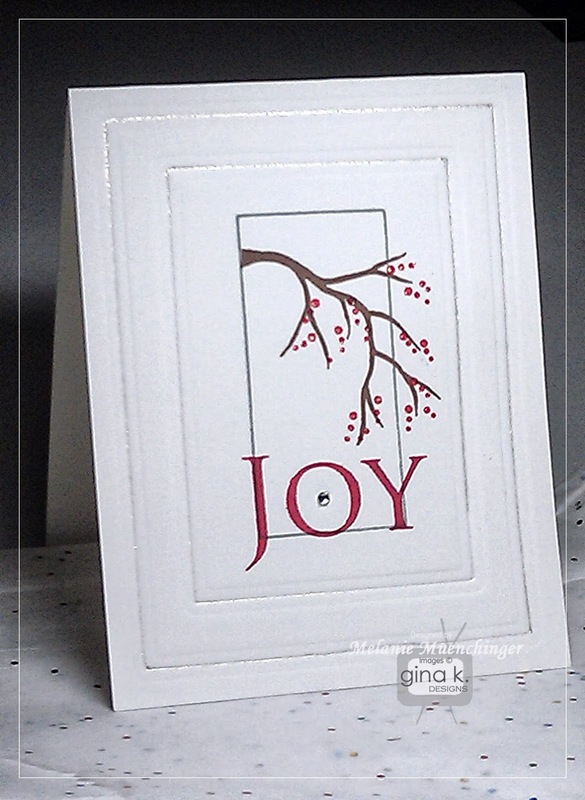 Isn't that flourished border so striking stamped on the Pure Luxury Cranberry Tart cardstock? Base is Heavy Weight Pure Luxury Ivory. Bag is stamped on Red Hot Pure Luxury. Ready for more? 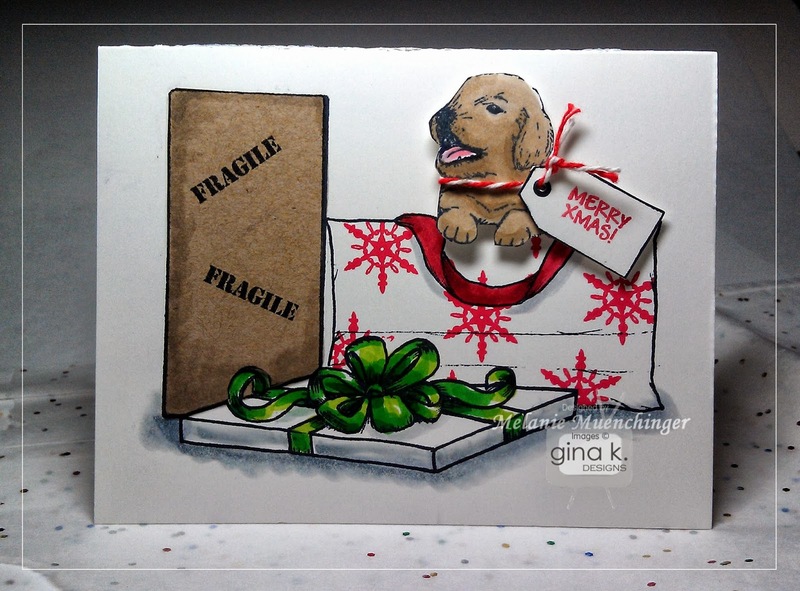 As you hop through our design team blogs, make sure to leave a comment on each of them because we will choose a few random comments and those stampers will each win a grab bag of Gina K. Designs products. Happy hopping! Good morning! 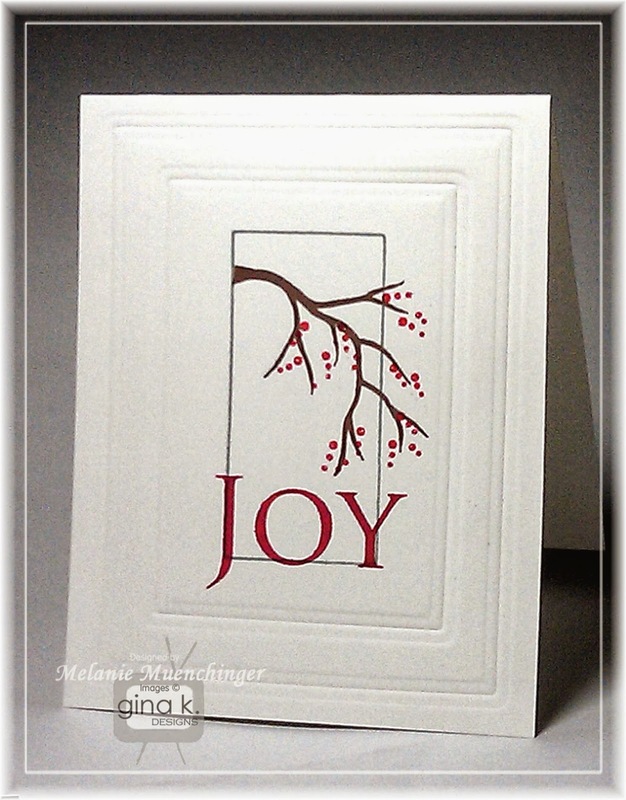 Christine Okken is a lovely friend I made through the CardMaker blog team, and today, Christine has made some cards with my Branching Out, one of the sets are featured in my book Fabulous Stamped Frames. I am so enamored of her coloring and really all that she creates! I haven't seen these new samples yet myself (I love surprises!) but I know we are all sure to be delighted and inspired! Without further adieu, let's go have a look at Christine's blog, shall we? Be sure to leave her some love! Well, what do you know? I would have told you sooner, but I just *now* got the 411 Gina has select stamp sets this morning that are uncut rubber! This means you cut them out yourself (remember those days?) but get a savings of over 70% off! Two of these sets are mine, and they are RETIRED meaning these are no longer available , and will not be available again! At the time they were released, they were some of my most popular sets! So, the "Untamed" reference in the title, yes, they are both animal sets. Jumping for Joy and Cuddles and Hugs. Something great about this offer, these two sets coordinate with one another (size of images, font, accessories) and are perfect for kids' birthdays, love notes for your sweetie, silly cards for friends, scrapbook pages and more! I hope you'll take advantage of these sets at only 6.94 each, less that the price of a stamp duo! look how many stamps you get! And below are also links to tip sheets for both sets. I must say Jumping for Joy is probably my all time favorite animal set I've drawn for Gina K. Designs. 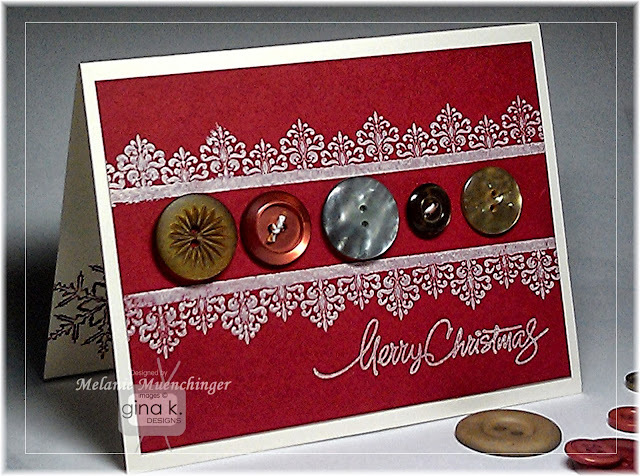 This set has been featured in magazines as well as the book Interactive Cards from Annie's Attic, below is a spinner card I created for that book with the seal. These hugging animals, perfect for so many occasions when you want to send some love and support, or make Valentines, has a really special place in my heart. 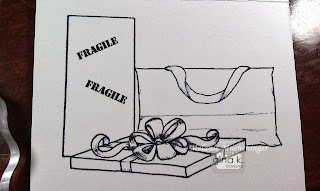 My dear friend and former GKD designer Donna Baker suggested the sentiment "never be the first to let go of a hug" when I was drawing the set. I'm actually getting a bit verklempt to see these pop up again today since I thought they were all gone during our retirement sale! Thanks for the memories! Finally, here is a Copic coloring tutorial I did showing how to color fur using these koalas. Good morning! One more box idea for you! Use the rectangle from Beyond Baskets 2 to create a miniature scene, it is just perfect for this branch from Let it Snow and the fact that branch goes outside of the frame just makes it all the more interesting. 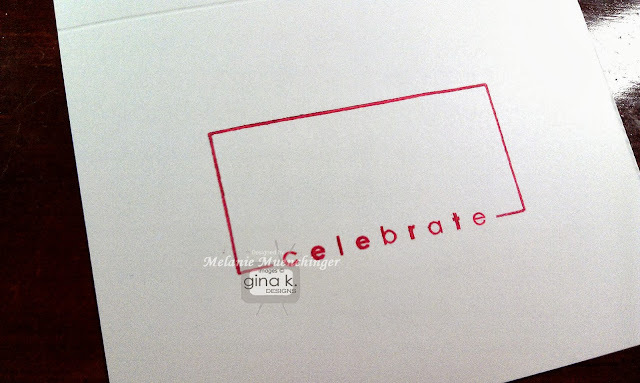 I stamped the box first in Moonlit Fog, the branch at the corner (clear stamps make this a snap!) in Dark Chocolate, and then add joy and the berries in Cherry Red. I decided to emboss two rectangles from Spellbinder Matting Basics A to fill up the space and add drama. Finally I traced the deep embossed grooves only and hit each of the berries with a Sakura Stardust pen. Add one rhinestone to the O! Actually, I was perfectly fine with this card with no glitter, just very white and pristine (see below), but I went ahead and blinged it up and photographed for to show you different options! Today I decided to use three of the large images from Beyond Baskets 2 to make a large scene of presents, like waking up at Christmas (the puppy from Basket Buddies jumped in! Few things more magical than a new little pet on Christmas day, am I right?) Even though these are very large images, I love how perfectly they are proportioned for A2 cards, even when using several together. Always start stamping what you want in the FRONT, FIRST. Next cover it up with a mask.This is a Silhouette cut out of the image, exact size,which is why you don't see any stamping on it. Ans then add you third. Now I want to add a print to the bag. 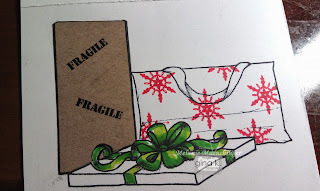 Place the mask over the wrapped gift again,and place the negative portion, that is what was left over from another time you cut out the bag image over it so your background is covered. 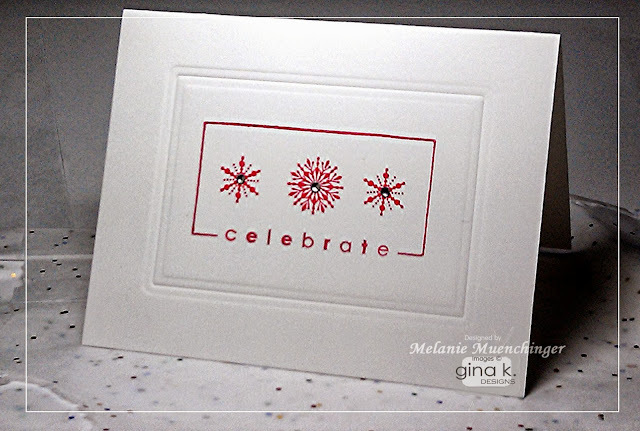 Stamped snowflakes. Pull it away, ta da! 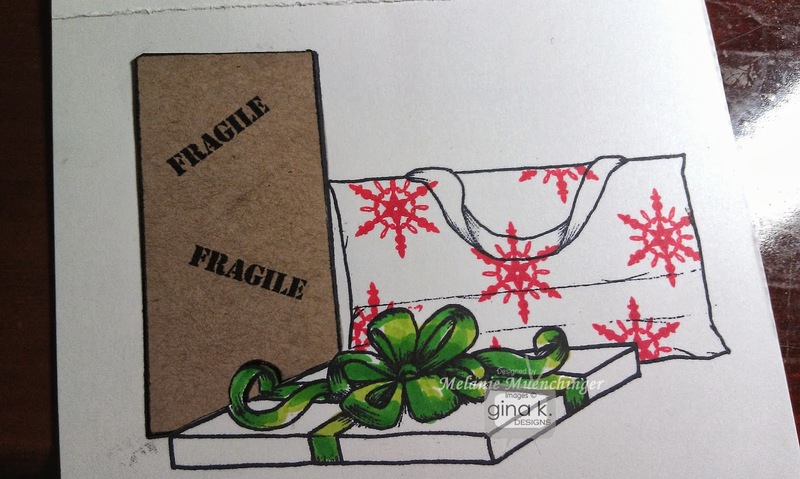 I was originally going to color the tall package but decided to use Kraft paper instead, I love brown boxes, which always means good stuff sent from far away! I like to color the handle the same color so it covers the stamped images, that way you have a coordinating handle and don't have to worry about masking that off, too. Color! On the bow, use darker greens over the areas where I've added the hatch marks for shadows, and lighter green on the open areas for a very dimensional look. I popped up the puppy and the tag with some red bakers twine for a collar. 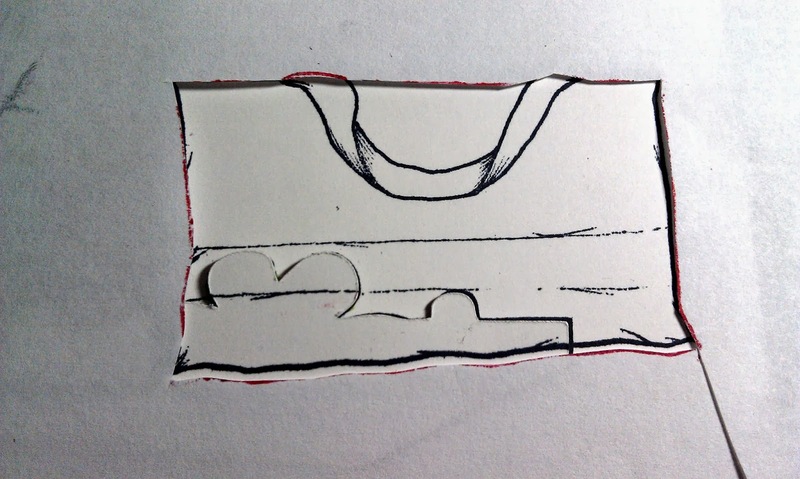 Finish with a C-3 shadow underneath and a little W-3 on edges of the brown box to complete. Good morning! Back again to show you another fun idea for the box in Beyond Baskets 2! 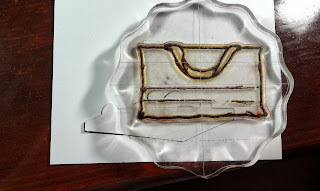 I am having so much fun with this stamp and have some more tutorials using this rectangle that I am finishing up! The rectangle measures 1 3/8" x 2 7/8" and is perfect for framing up so many sentiments, small scenes and images. 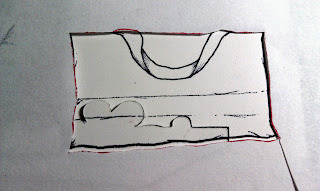 Omit part of the top or bottom outline and add your sentiment of choice to make it even more versatile. Place the sentiment you want under the box where you want to stamp it, so you know how much of the outline to omit. 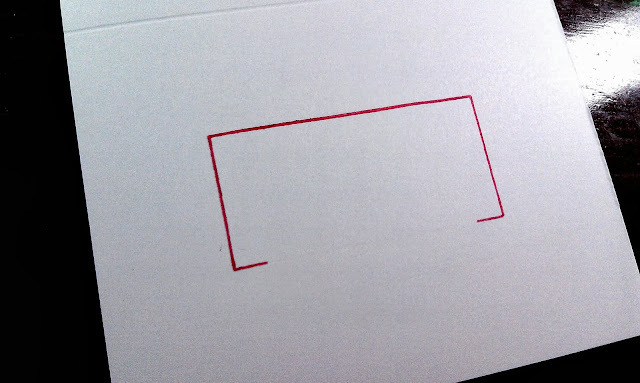 Use a marker to go over the outline of the rest of the box. 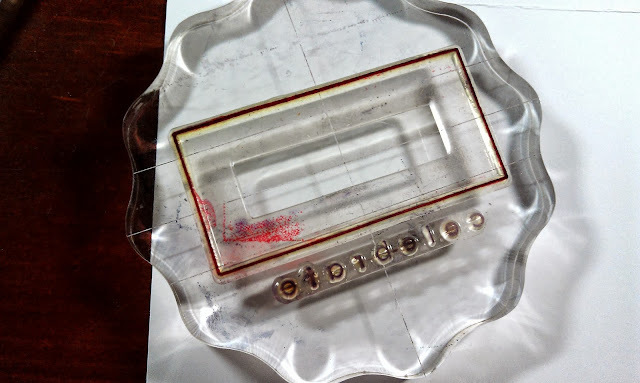 Be sure the stamp is clean before you start! 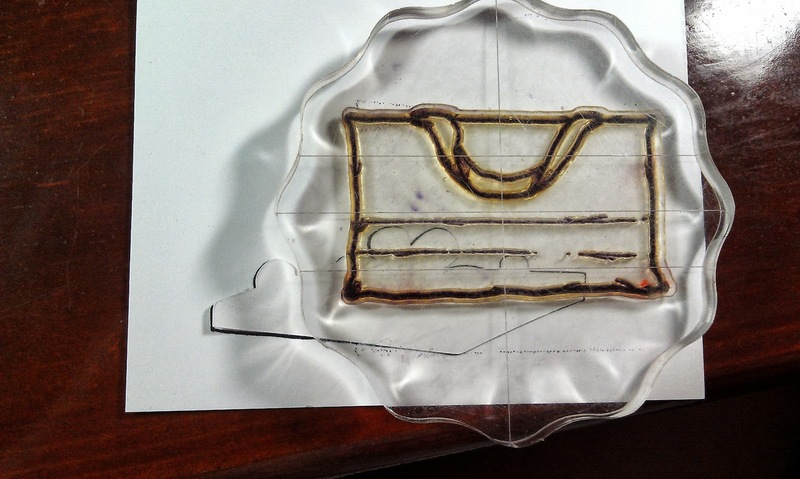 Huff on the image with your breath to moisten the ink and stamp on your Pure Luxury White card base. Add your greeting from Beyond Baskets 2. 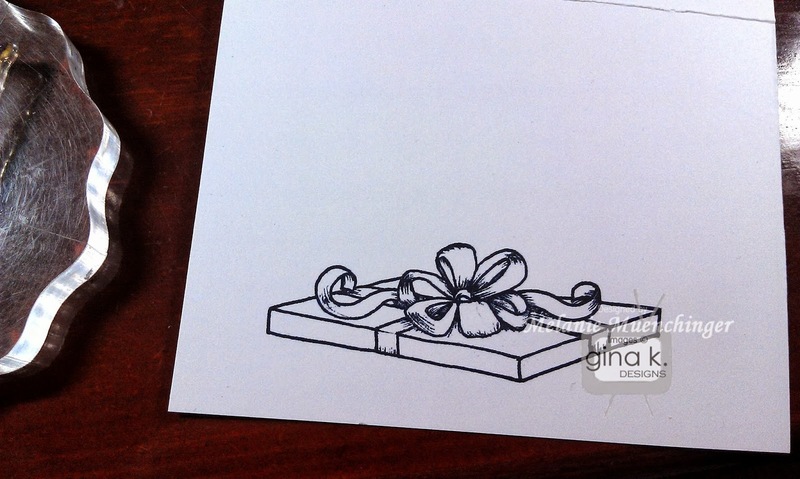 I used a Memento Love Letter marker for both the outline and greeting. I love how just a few of the letters are bolder to give it more style. The different widths really enhance to the thick and thin lines in your images. Then stamp in your flakes from Christmas Joy with Gina K. Cherry Red. 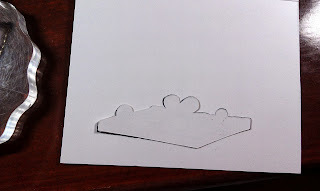 Emboss a Spellbinders Matting Basics A frame around it, see how perfectly proportioned those frames are? Add adhesive rhinestones to the centers and that's it. Easy peasy! 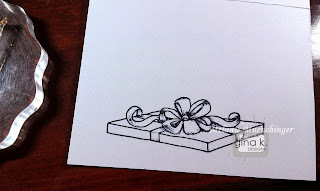 You can make a ton of these elegant cards in a snap with so few supplies! The frame adds so much to the design. Hope you love this idea! Off to finish another CAS scene for you!